Retail has gone digital—but how about your store? We’re breaking down the best technology for retailers—not only rug software, but the best tools out there to give your retail store a digital edge (and plain and simple: to make your life easier). Email marketing is still big. According to eMarketer, Email has a median ROI of 122% – over 4x higher than other marketing formats including social media, direct mail, and paid search. If you aren’t emailing your customers about your deals, specials, and store events, you need to start now! MailChimp is a popular email marketing service. It’s simple to use, and getting started is free. 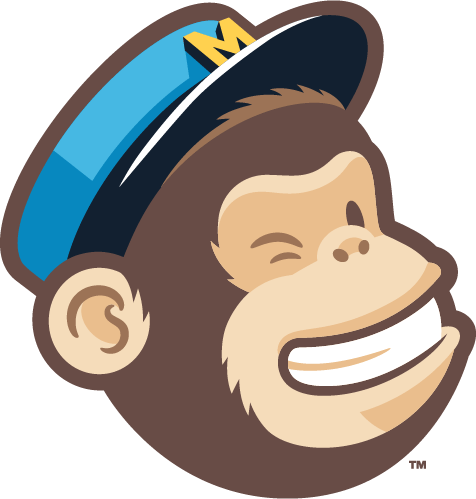 Mailchimp is now even offering free automation. That means you can set up campaigns to your email list ahead of time, start them, and mailchimp will send emails out on the schedule you define. Want to know what your competitors are up to? Spyfu can do that. Spyfu is a search analytics company. The great thing about Spyfu is that is will show you the keywords that other websites buy on Adwords, as well as the keywords they rank for organically. This enables you to see what competitors are up to, and use this information to guide your own SEO and Adstrategies. Spyfu can also show you what keywords you are ranking for, and provide suggestions on which keywords to target in your campaigns. 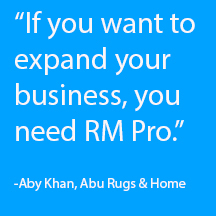 We couldn’t have an article on the best retail and rug software without highlighting RM Pro! RM Pro is an all-inclusive inventory, point-of-sale, and analytics tool that makes running your rug store a seamless process. It puts everything you need to know about your store right at your fingertips, all at real time. The best part about RM Pro is that is is a true rug software—it was built by rug retailers, for rug retailers. That means it has advanced processes and features specific to how this industry works. To learn more, you can check out RM Pro here. VR Showroom is an in-store virtual reality technology catered to home furnishings and furniture. It’s already being used by stores like Ashleys, Lowes, and Macys. Soon enough, as this technology advances and more players enter into the VR space, smaller retailers will be able to implement the same for their customers. You can ready more about this topic in our blog post here. From Retail to rug software specifically, check out these affordable tech tools to make your life as a small retailer that much easier!